Do you know that Thumb Drive was invented by Malaysia's Phua Khein Seng? He currently helms Phison Electronics Corp., in Taiwan. Of course there is controversy about who actually created it first, but he is one of the pioneers. So, how does it hold so much data? 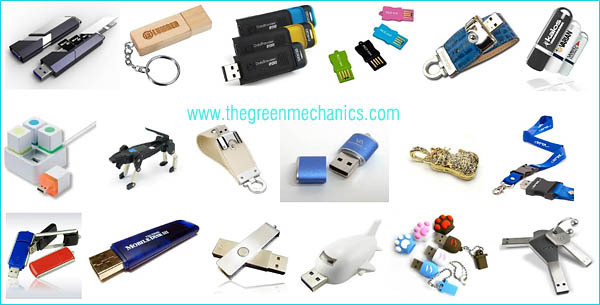 Some USB flash drives can hold 128GB of data and it could go beyond 256GB in the near future. Flash storage devices are based on chip technology called Electronically Erasable Programmable Read Only Memory (EEPROM). USB flash sticks use a refined version of EEPROM. In its earliest incarnation, individual bits of data on the chip had to be erased separately. It was like a vertically stacked library where getting at one book at the bottom of a pile meant having to move the books above it one at a time. But now multiple memory cells can be addressed simultaneously, allowing entire blocks to be written and rewritten in one go, like moving a pile of books, rather than one book, at a time. It requires considerable on-chip processing and is a feat that has come about through recent advances in chip design and miniaturisation, ushering in USB drives capable of storing gigabytes of data. Over time, the manufacturing techniques improves to the point that the components that hold the data can be made smaller and less power-hungry, and as such, information is packed more densely. So, there's hope that a cheap 256GB tablet will be available sooner rather than later. It's quite amazing how technology advances these days.